Mystery shopping is one of the ways you can make some pocket money in your spare time. 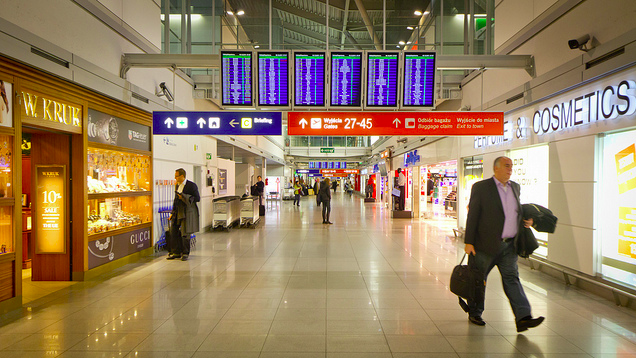 If you get assigned to mystery shops at airports, on your next holiday you could not only kill time waiting for your flight, you could earn some money and possibly score free food too. Photo by Nicola since 1972. Why on earth would you want to spend your vacation mystery shopping? Because mystery shopping companies often have mystery shops in airports and trouble getting them filled. Sinclair Customer Metrics is almost always looking for people to mystery shop major airports. You might even make more money per shop, too, because retailers are so desperate for the feedback. If you have a long layover, you might even be able to earn as much as $100 on mystery shopping gigs. You could end up scoring some free food, too. Sinclair is just one of the companies that need people to mystery shop at airports (Google "mystery shopping airports" for more). Hey, you can kill some down time and get compensated in cold hard cash at the same time.